At a press conference following the meeting, Ukrainian Energy Minister Yuri Prodan confirmed that his country had made an initial payment of 786 million dollars, which would arrive in Russia Monday at the earliest. 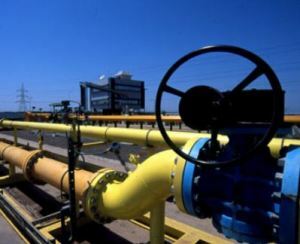 Ukraine hopes that Russia will provide gas with a reasonable market price, otherwise his country would consider suing Russia for unilaterally breaching contracts, Prodan said. His Russian counterpart Alexander Novak said Russia had received notification of the payment, adding that talks with Ukraine over a price for future deliveries would continue Monday in Brussels once the payment is confirmed. Novak noted that Russia would consider cutting gas supplies Tuesday if it does not receive the money. EU Energy Commissioner Guenther Oettinger said progress had been made in settling the gas dispute between the two countries.